Installing a Lightweight Wiki WikkaWiki on Free OpenShift PaaS is a bit different than that of WordPress but if you are a new user you must watch the video. The initial steps will be same but you have to select a custom environment. Installing a Lightweight Wiki WikkaWiki needs a PHP environment and MySQL database. 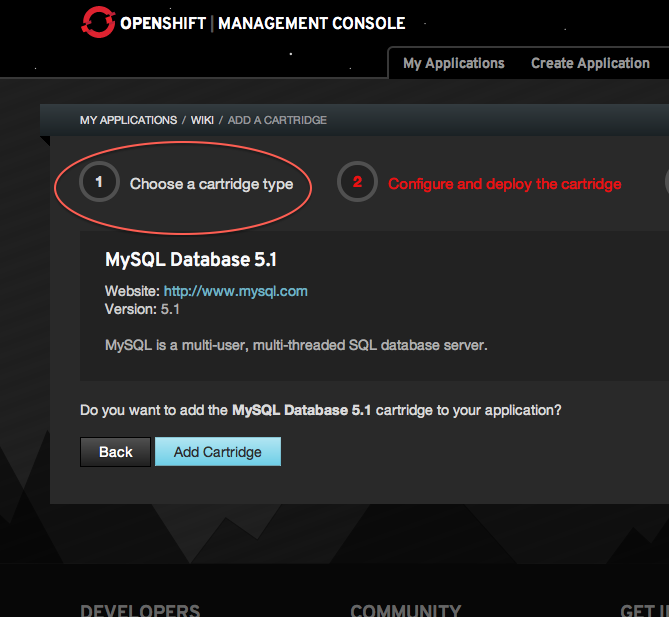 Login to OpenShift PaaS Account and Click the Create Application link on navigation bar. Scroll down to PHP and click select the latest version of PHP, that is PHP 5.3 Cartridge right now. Give your Application a name. Now click Create Application button. 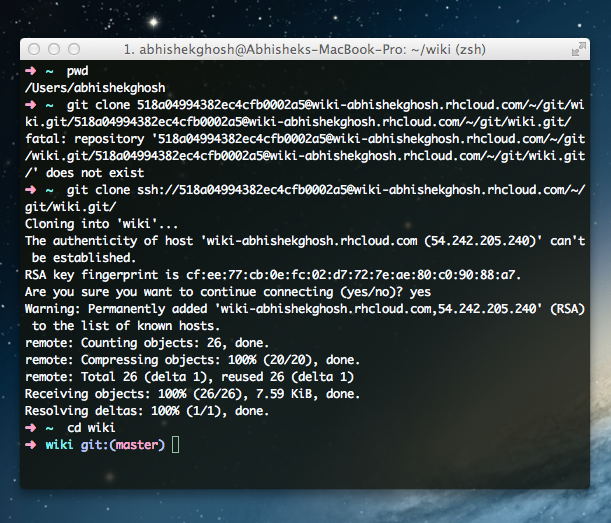 I used .openshift as I deleted all recursively. Otherwise adding by git add . will work. You just need to point your browser to the OpenShift’s URL to follow the instruction on browser to complete installation. This Article Has Been Shared 1635 Times! Install Lightweight CMS SkyBlueCanvas on Rackspace Cloud Sites easily. SkyBlueCanvas is driven by PHP and data is stored as XML. No MySQL database is needed. Cite this article as: Abhishek Ghosh, "Installing a Lightweight Wiki WikkaWiki on Free OpenShift PaaS," in The Customize Windows, May 8, 2013, April 25, 2019, https://thecustomizewindows.com/2013/05/installing-a-lightweight-wiki-wikkawiki-on-free-openshift-paas/.